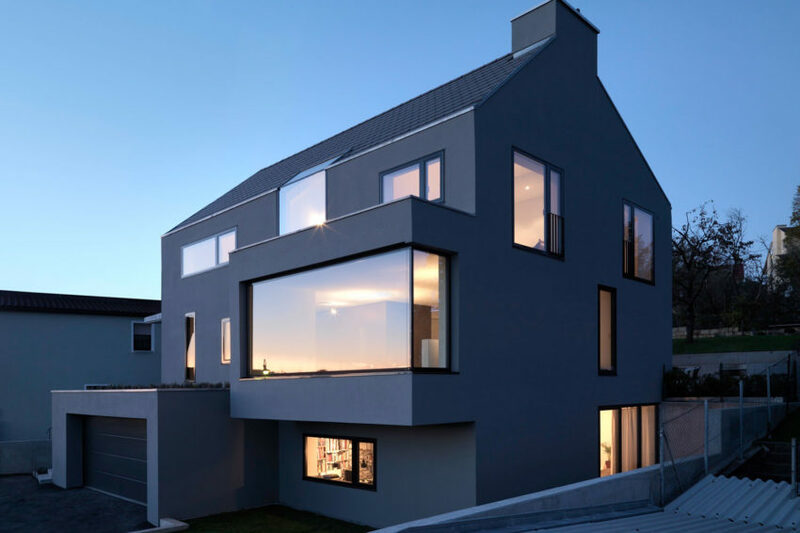 German architectural firm Ippolito Fleitz Group has designed the Haus F in Denkendorf, Germany. Completed in 2008, this 3,229 square foot contemporary home features a minimalist design. Delin Boiler Room by Stack + Co.
Stack + Co created this modern residence and graphic design office by converting the boiler room of Lebanon Mills jewelry factory in Pawtucket, Rhode Island, USA. 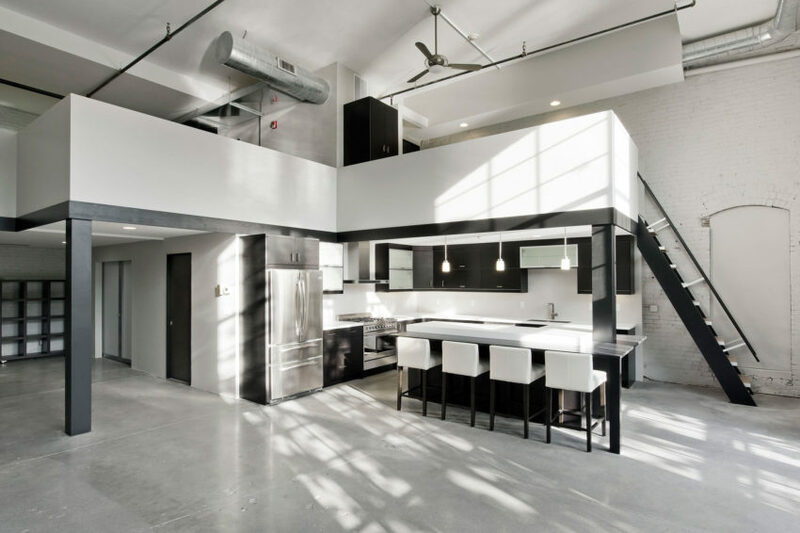 The result is a sleek, minimalist interior with high ceilings that still houses remnants of its former self. 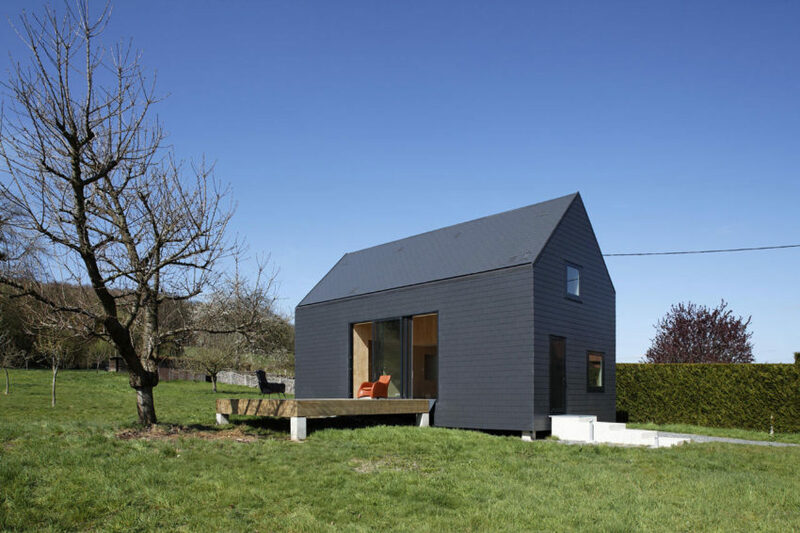 This 2011 project is a contemporary vacation residence by Lode Architecture that is located in Normandy, France. The architects took a minimalist approach to the design, creating a comfortable yet efficient retreat. 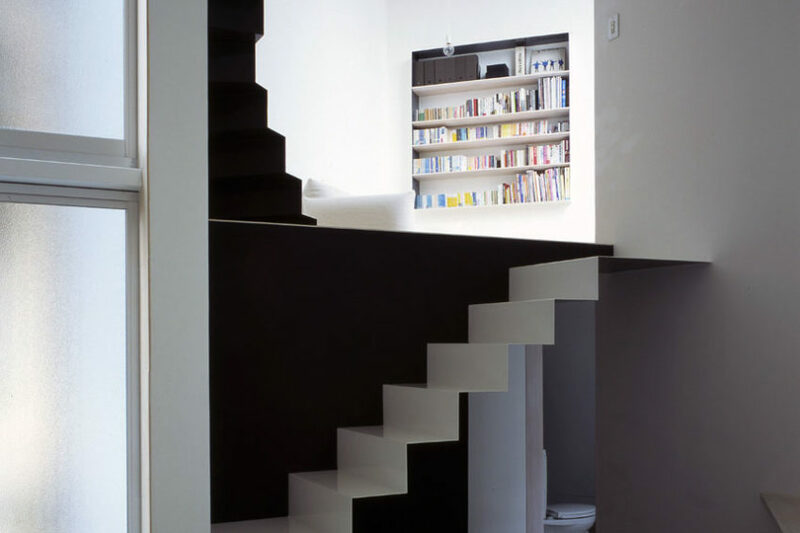 This modern, minimalist house in Osaka, Japan is a project by Fujiwarramuro Architects. It was designed with an emphasis on privacy without depriving those within the home of views of the nearby forest. This modern resort home in Niseko, Hokkaido, Japan is a 2012 project by Florian Busch Architects. 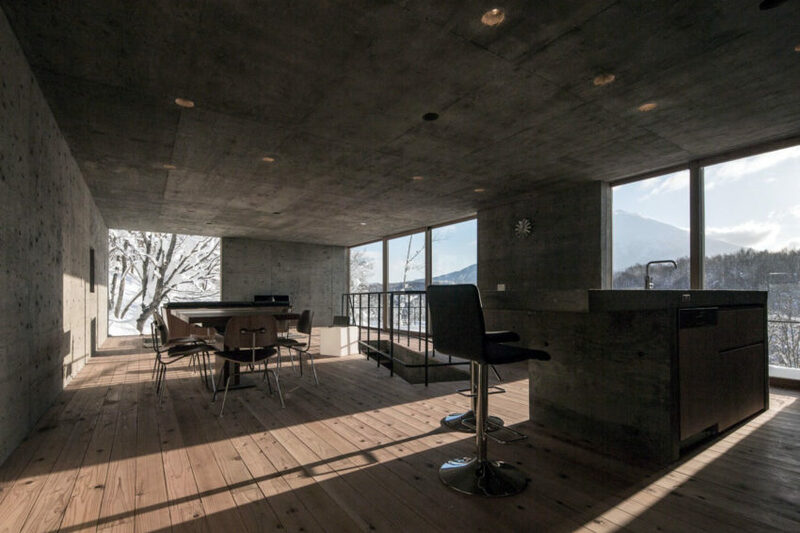 The minimalist design highlights the stunning views of Mount Yotei and the underlying valley. Airhouse Design Office created this modern residence in 2012 for a client located in Yoro District, Gifu, Japan. The designers sought to maximize the sense of unity in the common space by doing away with all room dividers and intrusive supports. 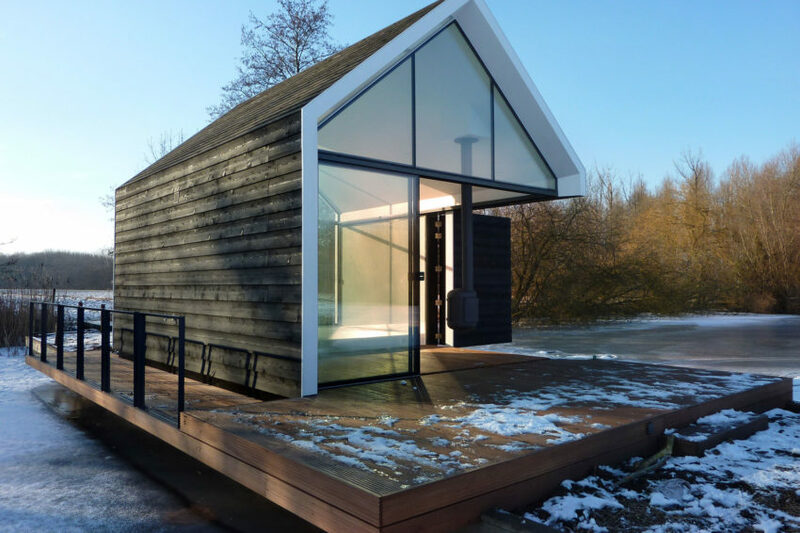 This modern shelter by 2by4-architects sits on the banks of a lake in Loosdrechtse , The Netherlands. In spite of its small size, it is a comfortable, fully functional space with movable walls that allow the space to be opened to the outdoors. 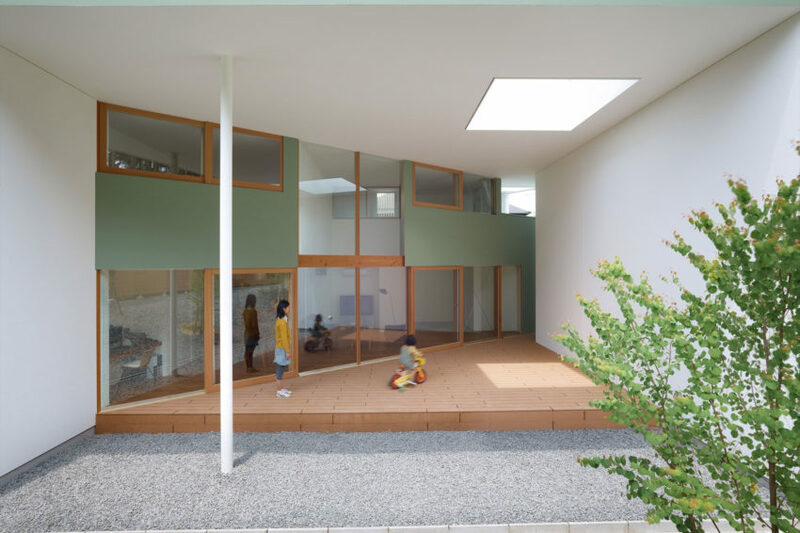 This modern residence is a 2012 project by EANA that is located in Yokohama City, Kanagawa, Japan. It is a simple, minimalist home designed for an economically conscious couple looking to grow their family. Architects at EZZO have redesigned a building located on a historic street in Porto, Portugal to create this modern residence. In order to preserve the original character of the surrounding neighborhood, the designers kept changes to the facade minimal and turned their attention to the interior spaces. 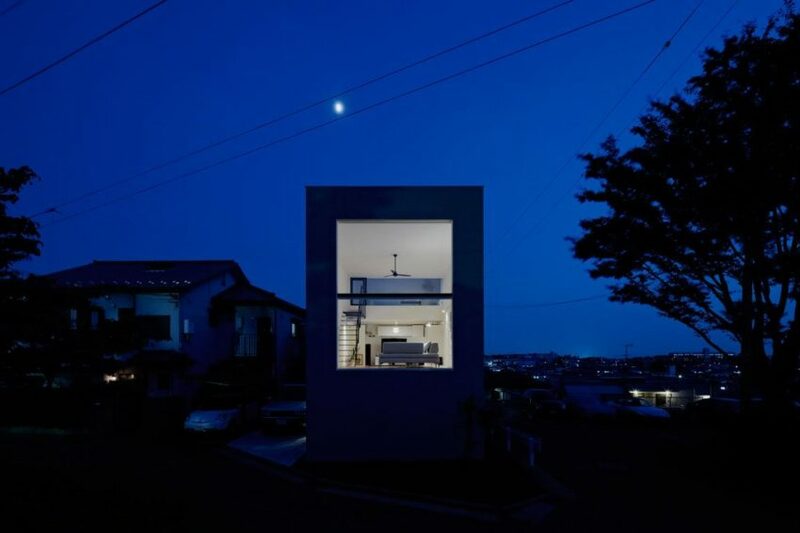 This modern home is a 2012 project by NAP Architects located in Hiroshima, Japan. 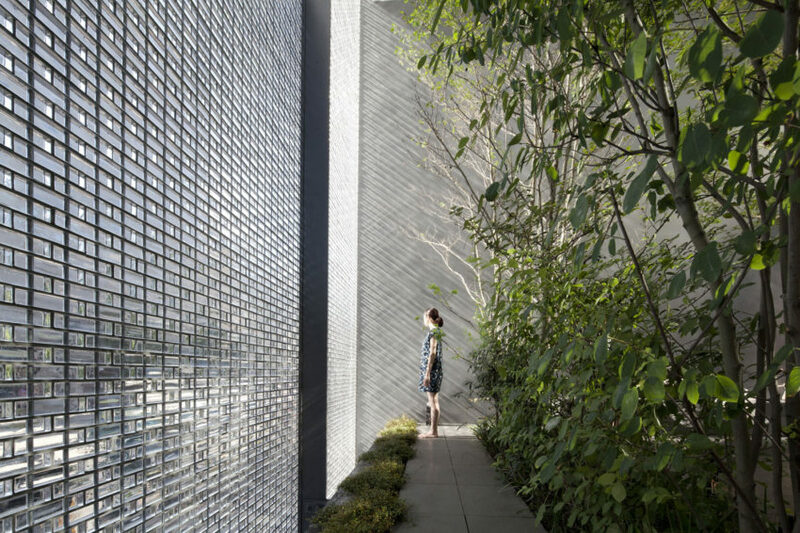 Its most notable characteristic is the facade, constructed from glass bricks, that protects and obscures an inner courtyard while providing a show of prismatic natural light. Luxembourg-based architectural firm n-lab architects have designed NIC. 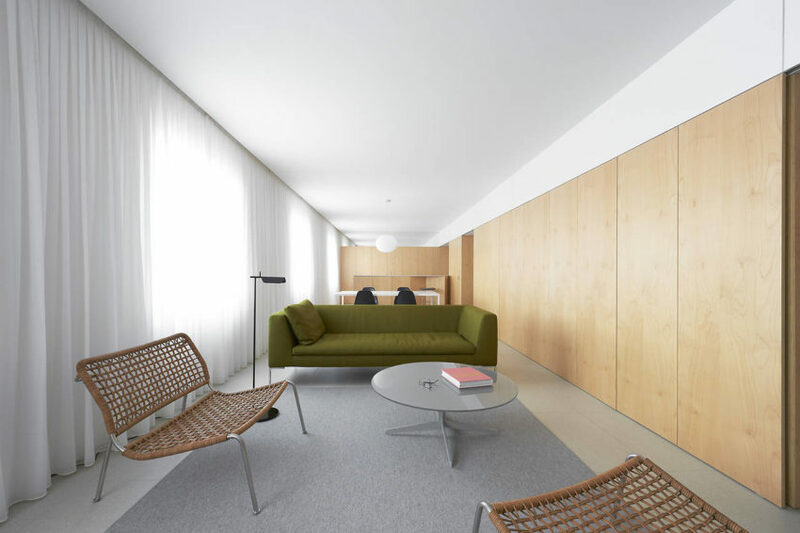 Completed in 2010, this 1,292 square foot minimalist modern apartment features inner walls covered in HPL panels, creating a clean and orderly look. It is located in in Sandweiler, Luxembourg. 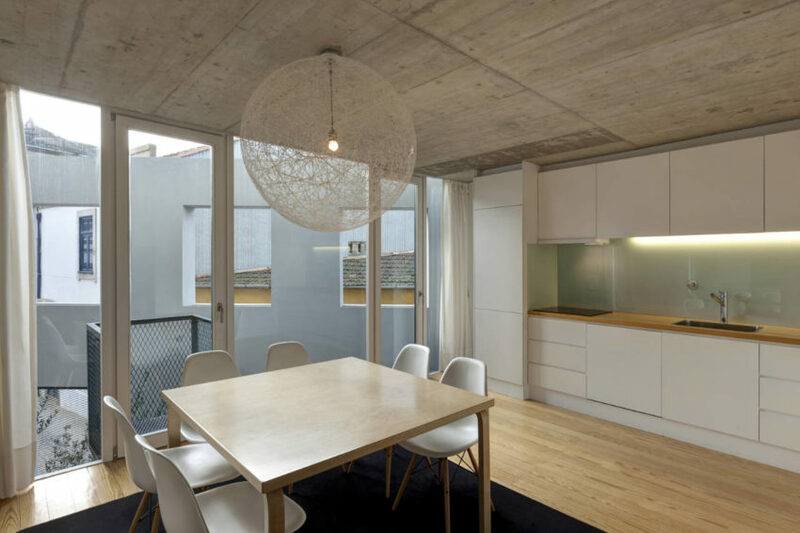 Iñigo Beguiristain is responsible for this modern renovation in Pamplona, Spain. It consists of three bedrooms, two bathrooms and a large, continuous communal area. Javier Artadi created this modern residence in 2002 for a client located in Lima, Peru. 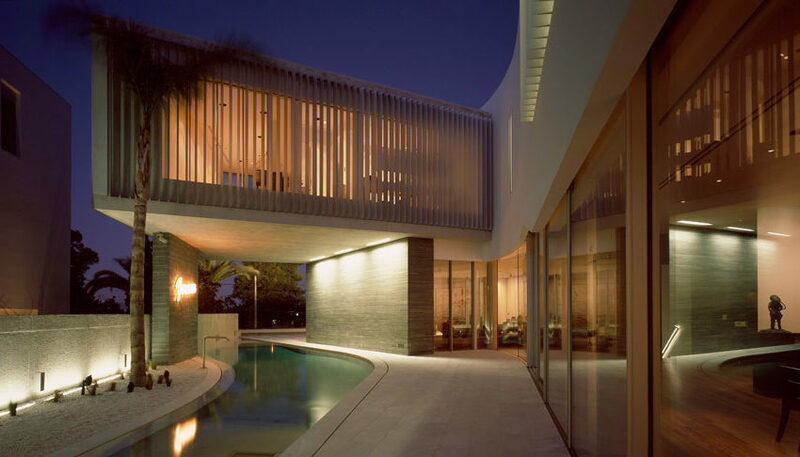 It features a dramatic swimming pool that extends out from the sloped site. 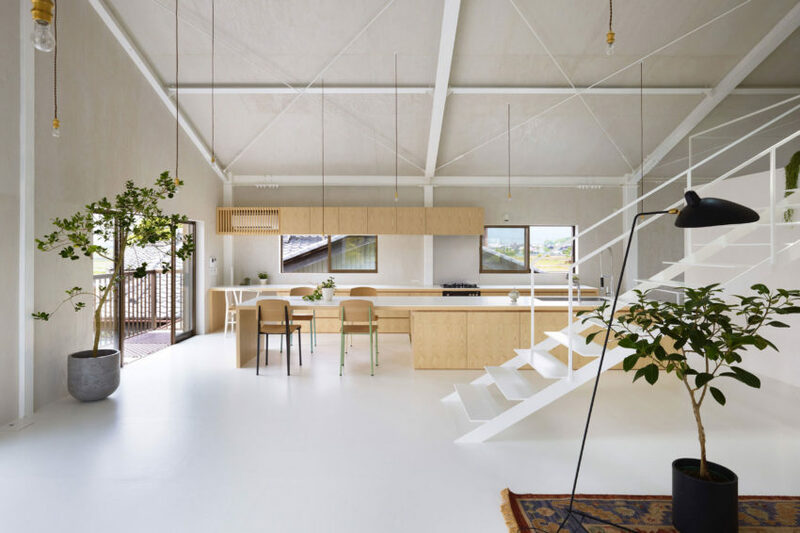 This modern residence is a project by Alphaville Architects that is located in Kyoto, Japan. V shaped indentations and a vertically oriented floor plan maximize indoor and outdoor space despite the property’s limited area. 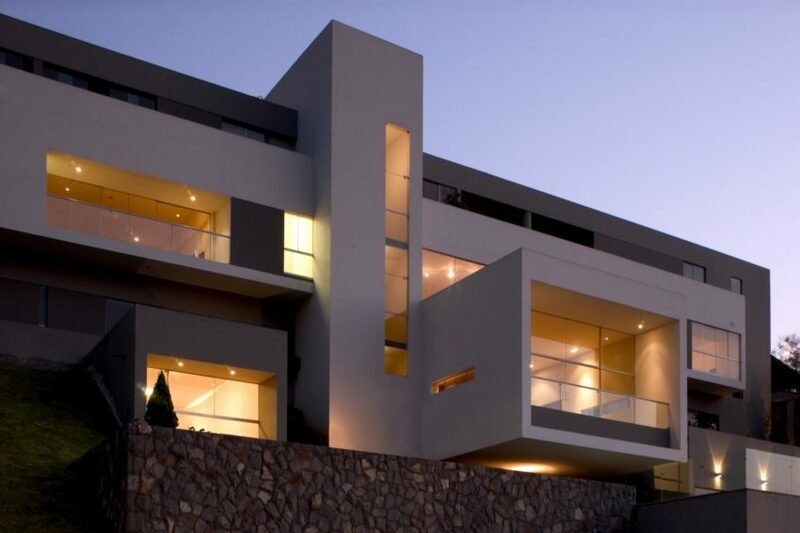 This modern home by Divercity Architects is a 2012 project located in a wealthy suburb of Athens, Greece. One of its most notable features is the massive garage that showcases the owners’ impressive collections of vintage cars and artwork. 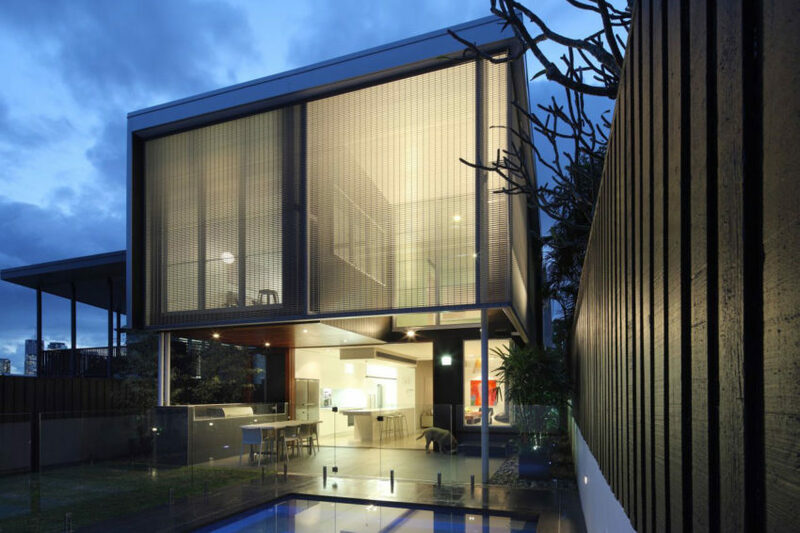 This contemporary residence is a 2012 project by Shaun Lockyer Architects that is located in New Farm, Brisbane, Australia. It was created by extending and renovating a pre-war home. 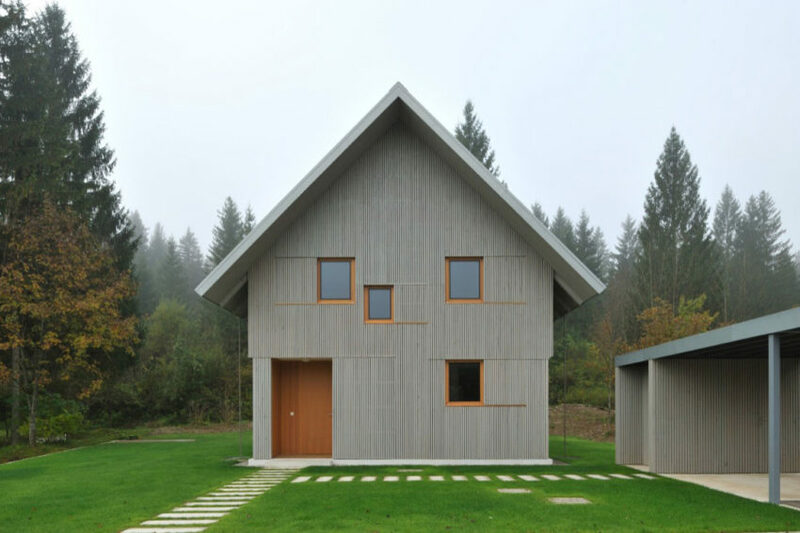 House R is a contemporary retreat by Bevk Perović arhitekti that was completed in 2008 and is located in Bohinj, Slovenia. When not in use, the home is protected from the elements by wooden shutters.